There are many commonly known accounts of Jesus's special miracles in the Bible, and some of the most famous ones are that he can turn water into wine, heal the sick, and walk on water. He also famously rose from the dead. 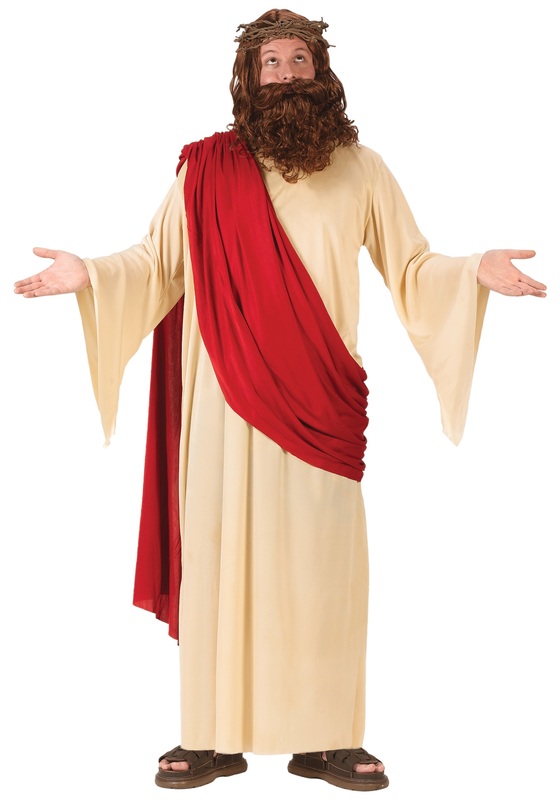 Now, it's time to share those stories with everyone when you wear this adult Jesus costume for your next Easter play! This costume makes it easy to look like the iconic Biblical figure. The full-length polyester robe and attached red sash give you a look just like the kind of fashions worn in the Roman Empire, 2,000 years ago, and the included faux hair and beard set gives you Jesus's often depicted hair style. A plastic crown of thorns completes this biblical look, making this a great costume for church pageants or religiously themed costume parties!